This item is designed as a joining tape to seamlessly connect two pieces of synthetic turf together. Strong self-adhesive with center peel release paper. This artificial grass tape is non-woven fabric based, with hot melt pressure sensitive adhesive. it is waterproof, weatherproof and UV resistant. - Usage: designed as a joining tape to seamlessly connect two pieces of synthetic turf together. - Strong self-adhesive with center peel release paper. 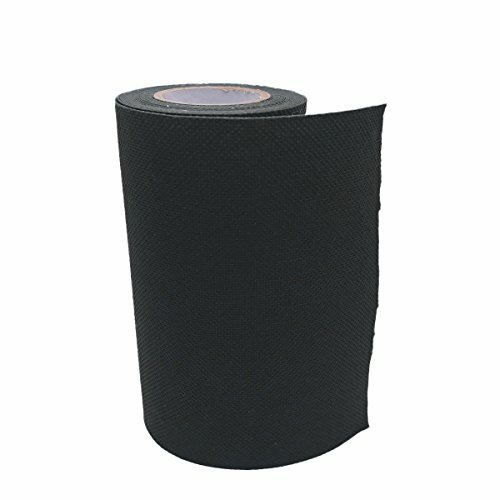 - This artificial grass tape is non-woven fabric based, with hot melt pressure sensitive adhesive. - Waterproof, weatherproof and UV resistant. Usage: designed as a joining tape to seamlessly connect two pieces of synthetic turf together. Strong self-adhesive with center peel release paper. This artificial grass tape is non-woven fabric based, with hot melt pressure sensitive adhesive. Waterproof, weatherproof and UV resistant.